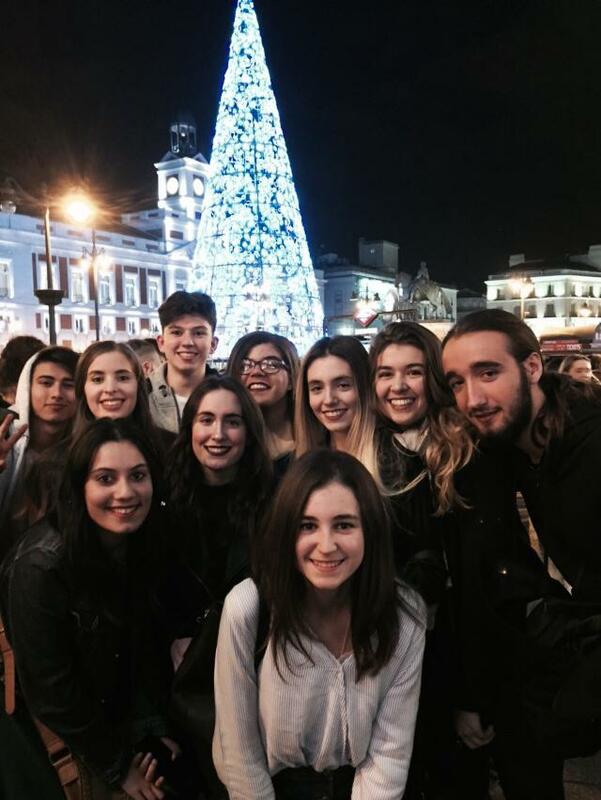 Last week, 2nd bto students went to Madrid with their teachers, Santiago and Eva. They really enjoyed the city atmosphere and all the activities planned but especially, the concert, as the conductor came out just to say Hello to them and thank them for their interest. Here you are some photos the girls sent me by wap. we would like to inform you about the process of our plans for the international rehearsal and concert week in Enger. Students from five different schools will participate: Lecce (Italy), Utebo/Saragossa (Spain) and Freigericht, Bünde, Enger (Germany). There will be about 85 singers in the choir and 75 instrumentalists in the orchestra. Because of the large number of pieces we expect the students to be familiar with their parts. During the concert week we only have the time to grow together as a large choir and orchestra and work musically on the pieces. I love Christmas! It is to enjoy all family and friends. I use these vacations to do many things like playing football, meeting my friends all days, going shopping for presents, watching movies, playing video games and talking about everything. On Christmas day, I am usually with my family, we have a meal together. When Santa Claus comes, it is special, especially for my small cousins, it is incredible to see his faces full of emotion. On the last evening I will have dinner with my friends and later we will go away to celebrate the New Year !!! I have to say that these Christmas will be wonderful because the people who surround me are all marvelous!! So, I am looking forward to them. DO YOU KNOW THAT AMAZON FOUNDER HAS WON 2,400,000 EURO IN JUST ONE DAY BECAUSE OF 'BLACK FRIDAY' ? iT IS INCREDIBLE, ISN'T IT?? Today, we have seen this film in the English class. to Monday 18 and finds out that it was her roommate Lori who poisoned her with a cake. Tree at the end of the movie  manages to kill her. bit repetitive and I'm a little impatient. In U.K. they celebrate Bonfire night every 5th of November. YO JUST NEED THE APPLICATION TO READ QR CODES. TRY !!! THAT WAS THE TITLE OF THE 20s film that we had the opportunity to watch tonight at the Faculty of Philosophy and Arts this evening for free. No words, but they are not really necessary to understand the plot of the film and we all liked the smashing piano playing to accompany the scenes. A lovely tandem that everybody applauded. A mysterious film that shows life in the 20s with serious illnesses as 'tifus' and 'tuberculosis'. YOU ARE ALL INVITED TO PARTICIPATE IN THIS RECREATION OF THE 20s IN TERUEL. PABLO MONGUIO, A PUPIL OF GAUDI LIVED AND WORKED IN MY TERUEL AND BUILT A VERY BEAUTIFUL BUILDING IN THE MIDDLE OF TORICO SQUARE. YOU SHOULD GO AND VISIT DRING NEXT WEEKEND. LOTS OF PEOPLE ACT AS FAMOUS CELEBRITIES OF THOSE TIMES. EDUARDO DEL RIO- COMMISSION FOR SECURITY AND DEFENSE. AND SERGIO PASAMON- COMMISSION FOR THE ECONOMY AFFAIRS. WE WANT TO WISH 'GOOD LUCK' . 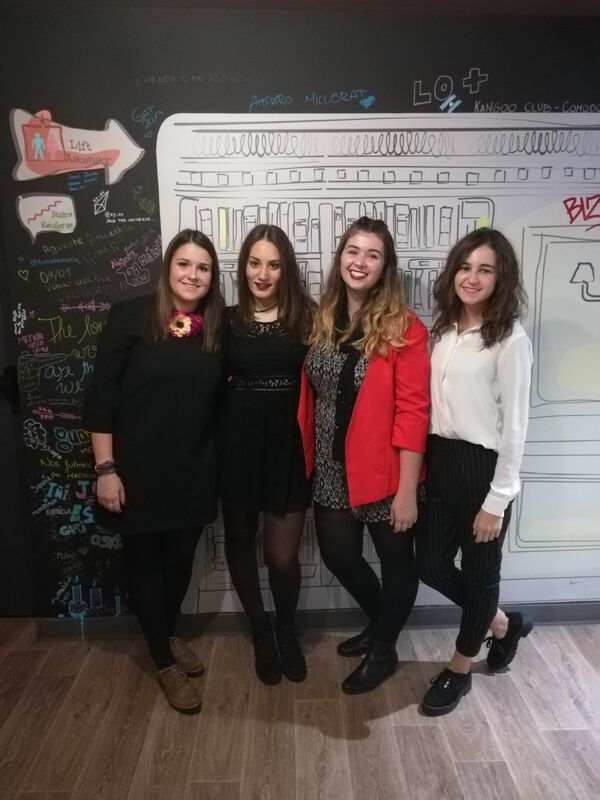 IF ANY OF THEM IS SELECTED, THEY WILL GO TO THE NATIONAL EVENT IN FEBRUARY, REPRESENTING ARAGON. THEY WERE THERE FOR THE PREPARATION OF RESOLUTIONS LAST MONDAY WITH THE PHILOSOPHY TEACHER: RUBEN MUELA. THERE, THEY MET A LOT OF STUDENTS AND WORKED IN TEAMS RELATED TO DIFFERENT COMMISSIONS. 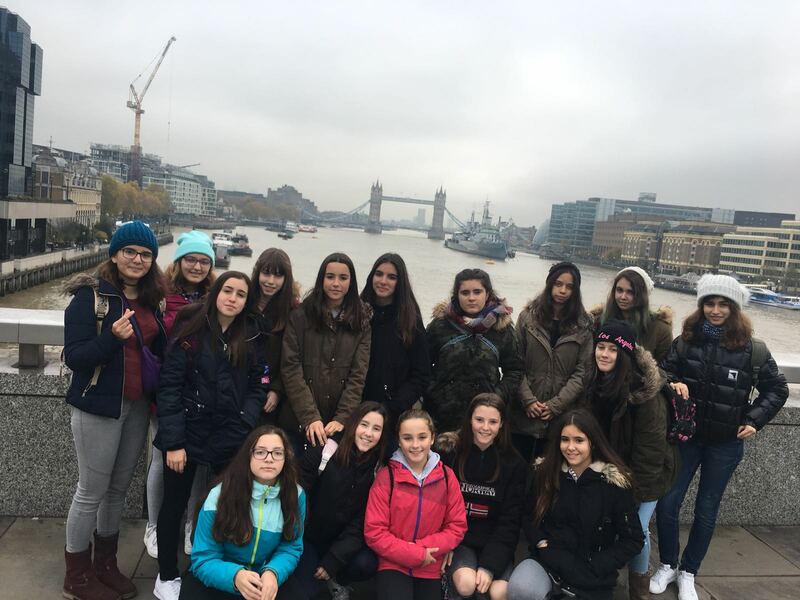 A GROUP OF 24 STUDENTS WENT TO VISIT LONDON WITH THE ENGLISH TEACHERS PEDRO AND MARIAN. THE WEATHER IS NOT SO BAD AS IT DOESN'T RAIN... THAT IS CLIMATE CHANGE. HERE YOU ARE A PHOTO IN FRONT OF THE LONDON BRIDGE. 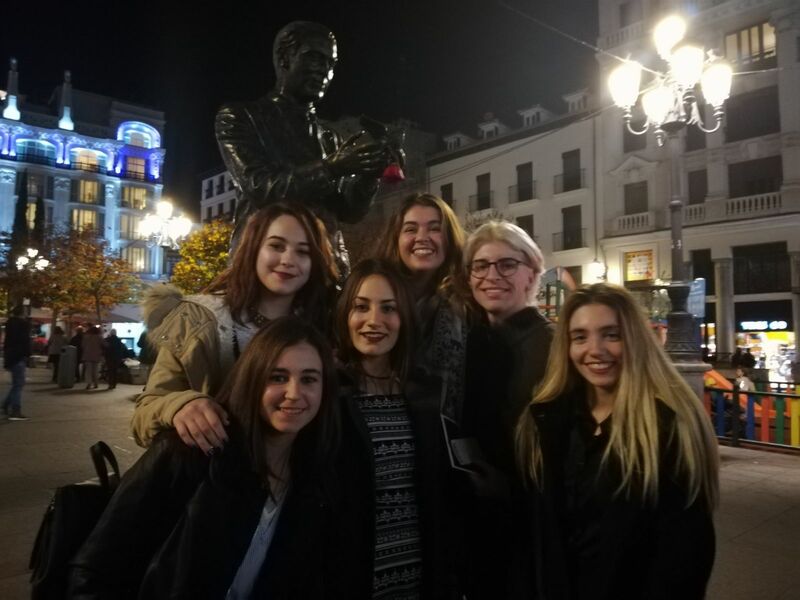 1st BTO STUDENTS ARE GOING TO DUBLIN ..
1ST Bachillerato students are going to Dublin in December with a group of students from Administration cycle and 2 teachers. They will visit the city, things like Trinity College and The book of Kell ( the oldest writing in English that is known), St Stephen park with the statue of Oscar Wild, the house of the poet, the Museum of Natural History or the guinness Museum. The Norman church, the cathedral, or Temple Bar Street. Away from Dublin, they can visit the Malahide castle or the fishing village Howth where sometimes, you can see seals in the distance. 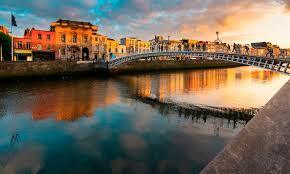 Dublin is popular for its famous live music pubs. where you can remember celtic music. This way, they can practise English and get to know a different culture. It is going to be a short trip but it serves for motivation. Besides, decorations are very beautiful at this time of the year. These pupils have participated in a competition in order to make pumpkin carvings. They made lovely ones that you can see ul in the corridor of the first floor. You can vote for the best one and the student selected will have a prize. Go and have a look!!! It was a dark summer night, when suddenly I saw a shadow in the reflection of a lake, it was strange and very big and it moved a lot. I was in the forest of Leskova in Slovakia with two friends and apart from seeing that shadow we heard murmuring and misterious noises. We were there for a walk to relax from a long trip and then we went to dinner and we could not have dinner because many shadows were following us, and we had to pay a lot of attention. After about 15 minutes a man with a camera appeared and we had been protagonists of a hidden camera surprise. It was a terrible fright that we will never forget, a little more than terrifying joke. IT WAS A DARK NIGTH WHEN  MY SISTER AND ME WERE  IN A PARK. TO CALL THE POLICE BUT WE RAN OUT OF BATTERY. WAS PLAYING A JOKE ON US BECAUSE IT WAS HALLOWEN.